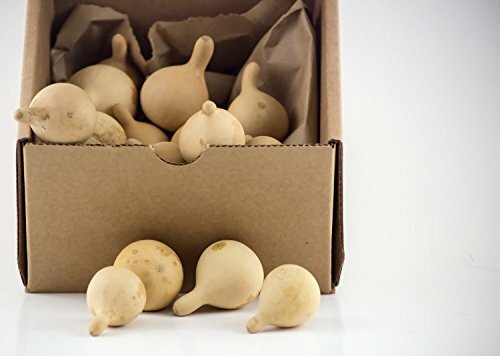 This box includes 20 mini gourds washed and perfect for crafts. Make your own ornaments or jewelry. Also makes a perfect gift for the crafty person in your life! These gourds are small, averaging 2" tall and 1" in diameter at the bottom. If you have any questions about this product by Gourdaments, contact us by completing and submitting the form below. If you are looking for a specif part number, please include it with your message.